The sun was shining all morning but the clouds rolled through into the afternoon, lucky for us the wind remained calm, with the water ideal for spotting cetaceans as they surface! Biggs Orca (mammal eaters) were encountered east and west of Victoria throughout the day so our captains had their pick and encountered several different groups! They were seen hunting and successfully making kills, as well as socializing afterward to celebrate! Resident Orcas (fish eaters) identified as L pod are back and foraging for Salmon around the San Juan Islands! It was a pleasure to encounter these endangered species, because they have stayed offshore most of this season. A few individual humpbacks were also encountered foraging and resting in the Strait before making a stop in to see seals and sea lions at their favourite haul out sight, Race Rocks! 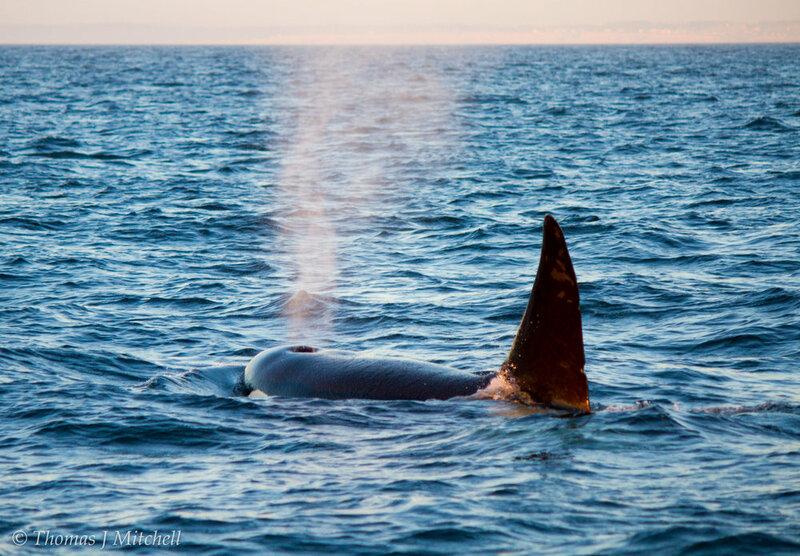 Take advantage of the 15% WhaleSale and come discover the Salish Sea with us! !